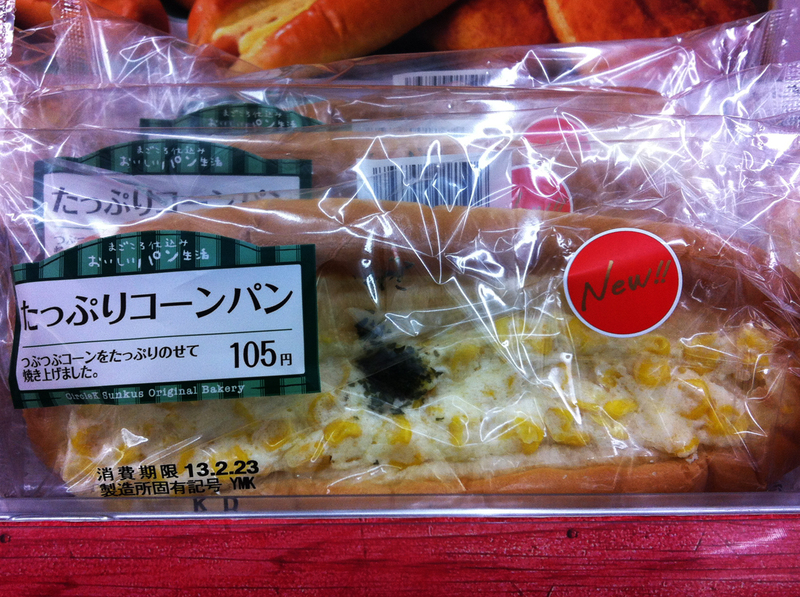 Yes, recently, this kind of corn and mayonnaise sandwich really is being sold in just about every convenience store in Japan. But that’s not the only non-PB&J you’ll find around these here parts. 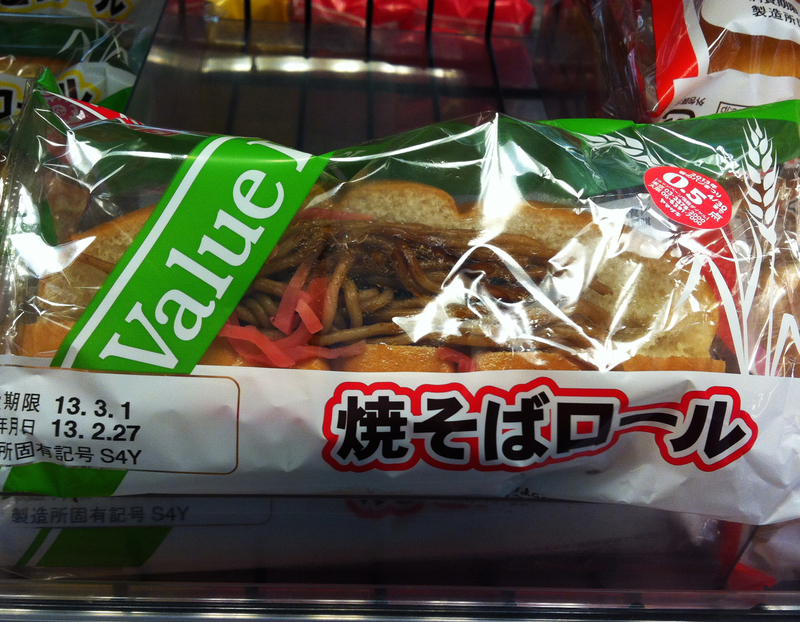 A perennial classic, the yakisoba (Japanese fried spaghetti) roll comes with a garnish of red pickle bits. 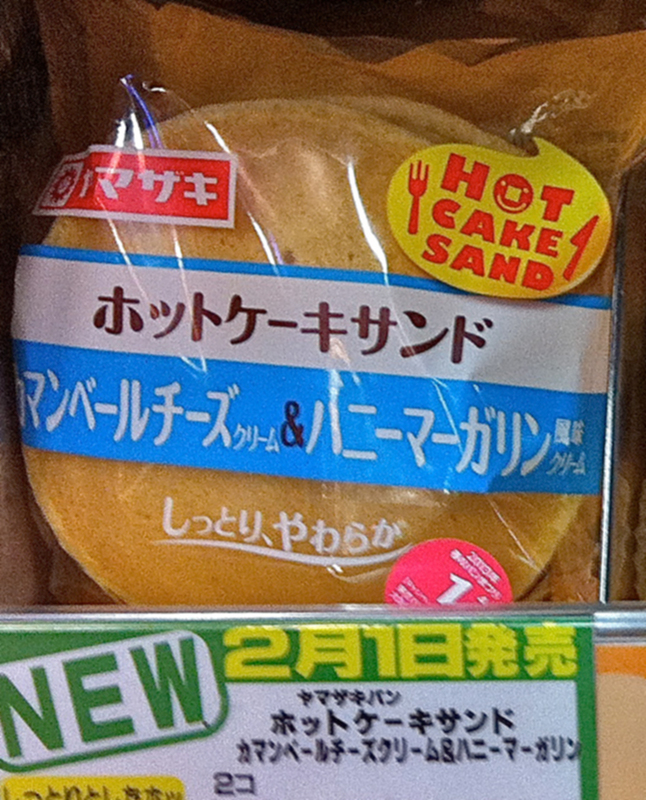 The recent pancake craze has spawned a line of “hot cake sand” that includes these two flapjacks filled with…Camembert Cheese Cream and Honey Margarine? Or let’s forget putting anything nutritious in it altogether! Behold the bun filled with plain unadulterated whipped cream. 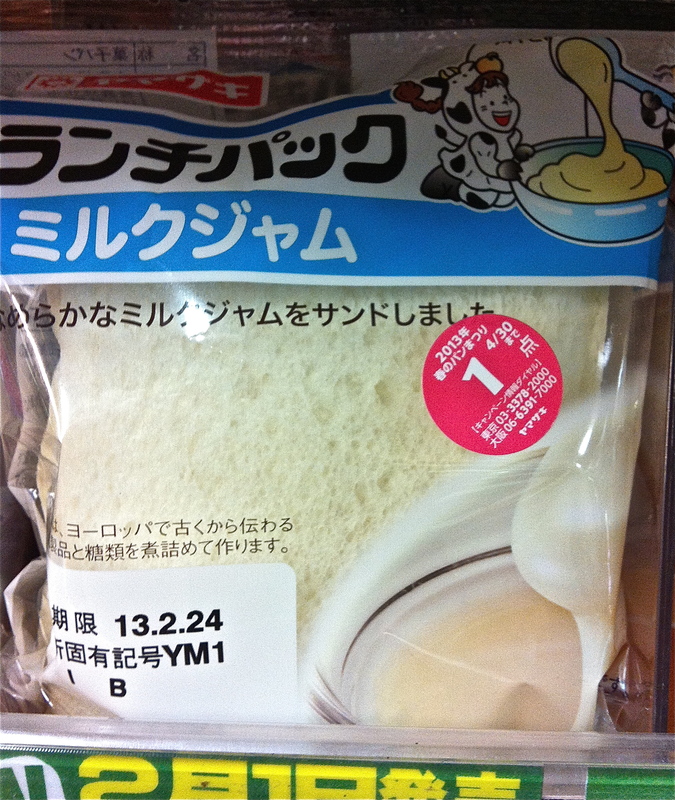 And my favorite: two pieces of white bread wrapped around a filling of Milk Jam, a mystery filling distantly related to some dairy product. 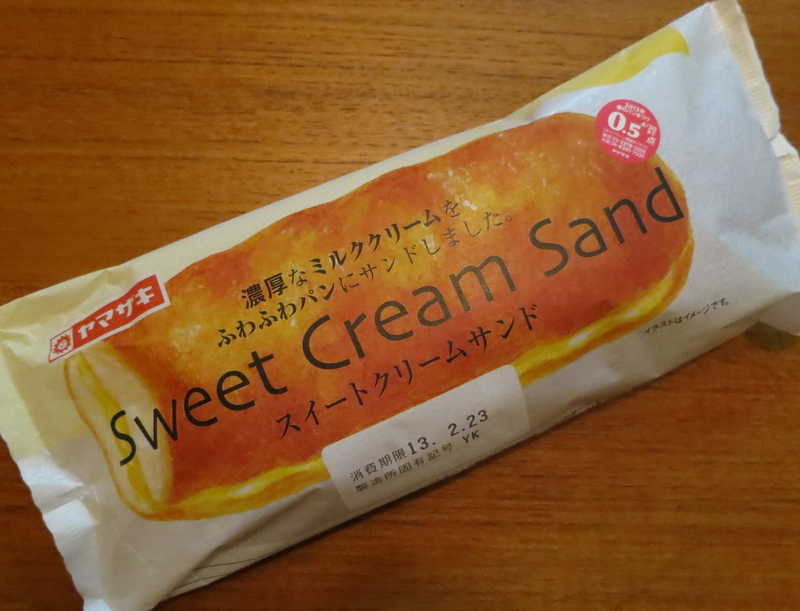 This has to be the ultimate in white food.